Level 2 service is designed to assist healthcare providers who either file relatively few liens or who have the time, staff and/or knowledge needed to prepare their own liens. Level 2 customers will significantly reduce the time and costs required to prepare, sign, file and mail liens. Using our drop down forms, Level 2 customers can fill out a drop-down form that prompts you to fill in the fields required by law to prepare a valid lien. The same form will also automatically prepare the letter(s) that, by law, must be sent to the patient and other individuals or entities specified under the applicable statutes. Once a form is completed, submit it to SWL, Inc. where one of our preparers will review it for completeness and attach a digital signature. Our certified electronic signers will validate the liens and electronically file the document with the appropriate county recorder's office. Once filed, SWL, Inc. staff will mail the lien(s) to your patient and any attorneys, adjusters or insurance companies that are identified in the application form. A PDF or TIFF copy of the lien, with the Recorder's seal and the letter(s), will be returned to you electronically for your records. 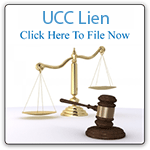 Remember, you are responsible for determing whether a lien is validly filed. SWL, Inc. will also create a file and electronically store the Lien, Lien notification letters and Lien Releases for safe keeping and records retention. When you have resolved the lien, simply fill out the Lien Release form and send it to SWL, Inc.. We will again sign, file and return the completed Lien Release. You will be charged directly for each transaction.